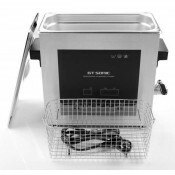 Ultrasonic Cleaners are ideal for the Medical, Dental, Laboratory and Jewellery cleaning industries, as well as other small parts cleaning applications. 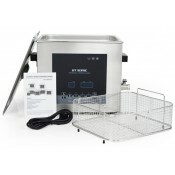 Ultrasonic cleaning is a process that uses ultrasound (high frequency sound waves), and an appropriate cleaning fluid for a fine, intensive cleaning of an array of products. 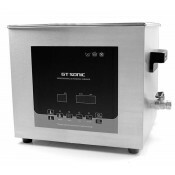 The Ultrasonic Cleaner can be used with ordinary tap water, however an appropriate ultrasonic cleaning fluid will aid in softening the specific soil, which will greatly improve the ultrasonic cleaning effect. 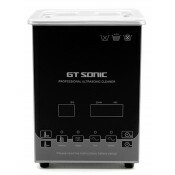 GT SONIC D-series ultrasonic cleaners with digital timer, heater, degas, double power and memory features. 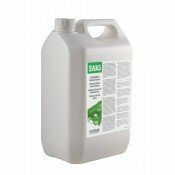 Normal/soft powers control expands the cleaning applications for normal and delicate parts. Degas feature for liquid degassing or beyond cleaning applications. 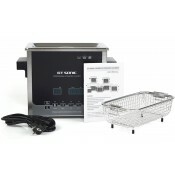 Electrolube SWAS05L Safewash Super - 5L SWAS removes all types of flux residues (RA, RMA, no-..
GT Sonic Ultrasonic Cleaner 2LGT SONIC D-series Ultrasonic Cleaners with digital timer, heater, dega..
GT Sonic Ultrasonic Cleaner 3LGT SONIC D-series Ultrasonic Cleaners with digital timer, heater, dega..
GT Sonic Ultrasonic Cleaner 6LGT SONIC D-series Ultrasonic Cleaners with digital timer, heater, dega..
GT Sonic Ultrasonic Cleaner 9LGT SONIC D-series Ultrasonic Cleaners with digital timer, heater, dega..
GT Sonic Ultrasonic Cleaner 13LGT SONIC D-series Ultrasonic Cleaners with digital timer, heater, deg..